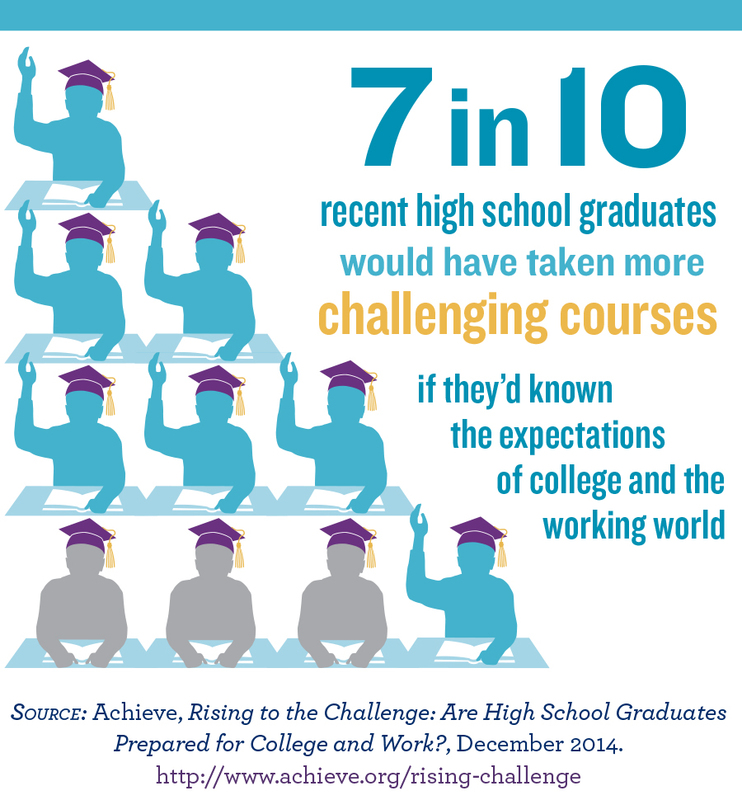 A new national survey released by Achieve – Rising to the Challenge: Are High School Graduates Prepared for College and Work? 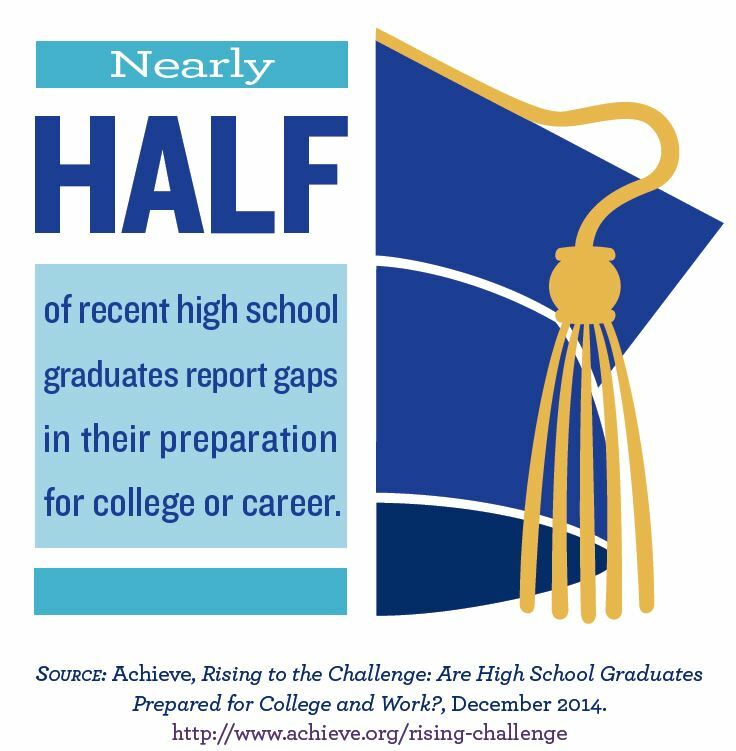 – shows that approximately 50% of recent high school graduates report gaps in preparation for life after high school. Download the PowerPoint or a printer-friendly PDF. Click on any infographic below for a larger version that you may readily share on social media.